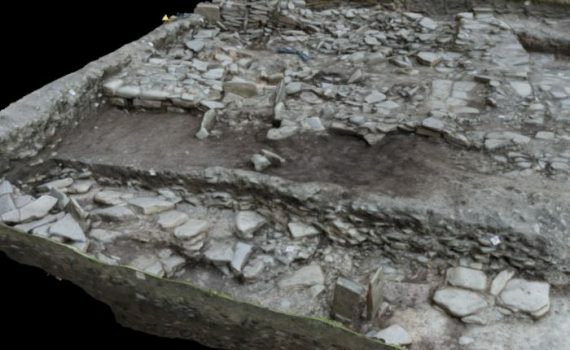 Home » Archaeology Ex Machina: employing virtual reality technology to enhance archaeological landscape investigation. 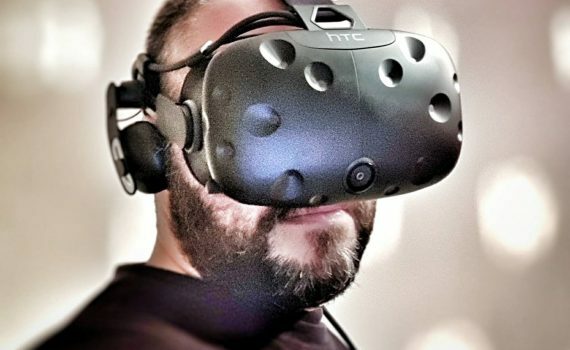 Archaeology Ex Machina is a PhD project designed to explore how games industry software and hardware can be utilised to enhance landscape investigation using Virtual Reality. The concept is fairly simple: Using Unreal Engine 4 a user will be able to use VR hardware to explore landscape data, both in a top down approach as well as an “in-person” approach. Use of VR in archaeology is not new however most applications have been for public presentation and dissemination. This project aims to take this concept further and investigate its application to and enhancement of archaeological research. This project is currently being undertaken as part of a PhD at the University of Kent and has entered its 2nd year. So what is the point of all this? Am I just engaged on making pretty images for public consumption? This is a subject I will be covering at some length in my thesis as its an issue I feel we’re glossing over somewhat in archaeology. Creating 3D models of objects and landscapes is certainly in vogue at the moment, and every unit or department has someone doing it somewhere. The specific issue however is what are we doing with all this new information? Does it serve a purpose or are we merely creating these things to dangle in front of the general public and stand back as it briefly becomes a hot topic? This is a subject that I touched on in my masters dissertation where I attempted to push the envelope out beyond merely making a pretty 3D model and create something that can actually be useful or would have purpose. My main concern is that of storage more than anything else. We are in danger of being swamped by a deluge of images, 3D models of sites and artefacts that all need digital curation lest they be rendered obsolete by storage media failure or software and hardware advances. My project is not immune from this at all and I am well aware that I am just as guilty of creating gigabytes of new data that needs to be looked after to some degree. The difference is that I am not simply creating data for the sake of it. There is a purpose and an end goal, that of experiential dissemination and investigation. Once that is done and the hardware has moved on, I expect the data and software to die a digital death but the ideas, and thoughts it generates would (hopefully) live on in another form. There are flaws in this viewpoint and I have yet to dedicate full time to considering it all (thats for next year) but this is my standpoint at the beginning of my 2nd year into this project. Given the incredibly fast pace of developing technology, it was decided early on to pick one particular set of hardware and stick with it for the duration of the project. While this might mean that the hardware could be dated at the end of the 3 year project, it would eliminate any “feature creep” where new features would constantly be added and would limit actual progress. Although unexpected at the start, this has also been true of the software engine version used and it is currently set with version 4.19.2 of the Unreal Engine 4 game engine. HTC Vive VR headset with “v1.5” lighthouse base stations. A PC with an Intel Core i7-8750H CPU, 32GB RAM and an 8GB Nvidia GTX1070 graphics card. While these specs are fairly high, its not envisaged that a general release of the software will be part of the project, but a post project consideration, whereby the software will be optimised for various hardware configurations.